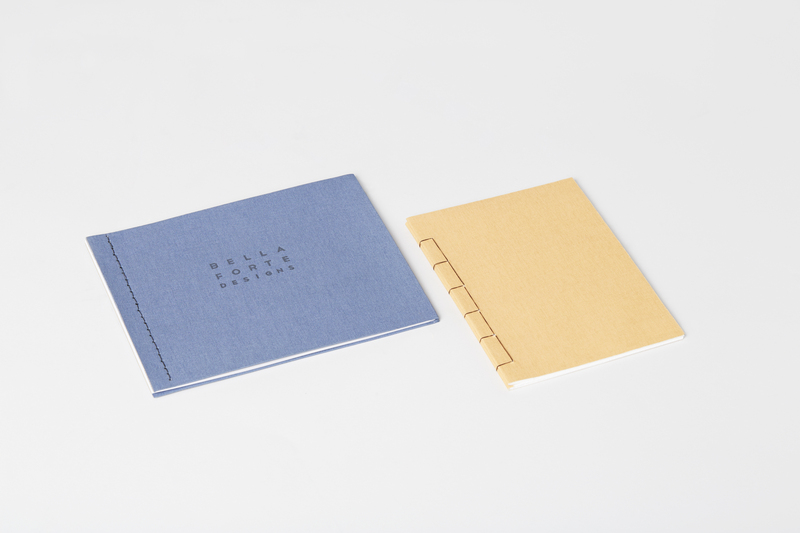 Booklets are typically small in scale with only a few pages. They are either sewn when their covers are built from card stock or Japanese bound with ribbon when covers are hard board covered in cloth. Booklets are often used for look books, event programs or invitations.